Shirley Ellis took this photo while out on the annual Lady Slipper Walk - a popular spring BLT program. The Buttercup is a familiar wildflower because they are so common. 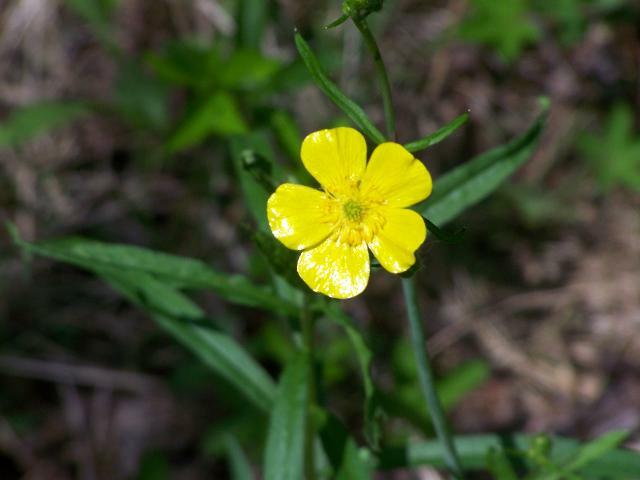 Different types of buttercup can be distinguished by the leaves, growth type, area, and habitat. When looking for an ID, be sure to look at the leaves near the bottom of the stem and also at the top. They are found in fields and meadows. The yellow petals have an extra layer of cells that gives it a waxy appearance. Sap from the plant has an unpleasant taste which discourages animals from grazing on it. 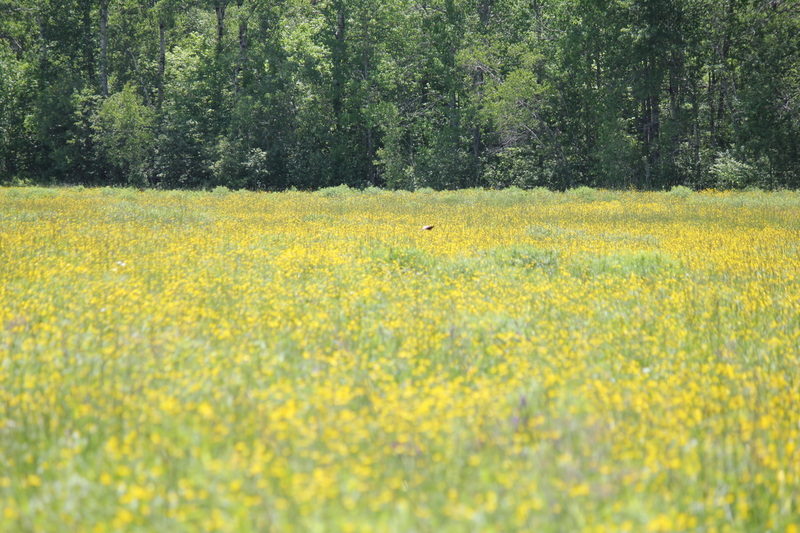 Buttercups galore photographed on June 18, 2015 at West Penjajawoc Grasslands (below) by Donne Sinderson.